Mains level: Simultaneous election is a hot topic of discussion these days. A paper put out by NITI Aayog argued in favour of the proposal of simultaneous elections. More recently, the Law Commission invited political parties to a consultation on the simultaneous elections proposal. Other issues under the Election Commission’s model code of conduct. Why can election calendar not be synchronous with Centre? A government may choose to dissolve itself, or a government may fall if its loses its majority, and then the governor, acting on behalf of the president of the republic, will be obliged either to ask another combine to form a government, or must perforce call fresh elections. Keeping a hung assembly in a state of suspended animation while the governor rules the state, presumably under guidance from the Centre, until the next predetermined election date rolls around, is nothing other than anti-democratic in spirit. Suppose a Union government loses its majority within the middle of a fixed five-year electoral cycle. The normal course of events would be for either a new government to be formed, or for fresh elections if that is not possible. Now, if instead, we have president’s rule for the duration of the five-year period under the advice of a council of ministers drawn presumably from the now-defunct Lok Sabha and the still functioning Rajya Sabha will lead to constitutional oligarchy. Apart from these philosophical considerations, a move to have simultaneous elections threatens the federal character of our democracy at a more practical level. It gives pole position to large national parties, such as the current or previous governing party, which govern and campaign at the Centre and in most if not all states. These parties would reap the economies of scale of one large election every five years, to the disadvantage of regional parties which campaign for Lok Sabha and assembly elections only in their own states. Likewise, in a single big election, national issues would tend to come to the fore and drown out issues of regional interest. The latter would presumably dominate an assembly election, which occurs organically rather than one forced to fit the Procrustean bed of a single national election. In sum, “one nation, one election” will only serve the interests of those bent on further centralization of an already overly centralized union. It will do a grave disservice to the federal character of our union as envisaged by the founders. Should India withdraw from UNHRC? The withdrawal of the U.S. from the UNHRC in June this year sent shock waves through the international community, foreign-policy think-tanks and human rights non-governmental organisations. However, some feel this was the right decision and are now advocating withdrawal by other countries; this includes those in India. Current members include Saudi Arabia, the Philippines, Pakistan, and the United Kingdom — a few of the 47 states elected by the General Assembly, based on geographic quotas. The ‘Universal Periodic Review’ process, where all states are scrutinised, is currently in its third cycle (2017-2021). No state is exempt from this process, including Security Council members. Politics is unavoidable, with states using the opportunity to highlight the records of other states. An overly simplistic reading of the HRC paints this as purely partisan theatre, which is not the entire picture. What gets lost in all the rhetoric regarding the HRC is the actual track record — the overt manner in which a human rights agenda and the evolution of human rights norms are facilitated. Resolutions adopted have highlighted egregious violations despite efforts to the contrary by some members of the HRC such as Syria, Yemen, Myanmar, and North Korea. Subject areas that have been the source of much controversy have been addressed at the HRC, including LGBTIQ rights and discrimination on the basis of religion. The HRC is also a forum to monitor international obligations of a state based on international law that states themselves have undertaken. It is also worth pointing out that the role of the Office of the OHCHR is often confused with the HRC. It is a separate institution which presents reports independent of the HRC, the recent report on Kashmir being an example (which has turned out to be tampered on facts). Hence, there are multiple strands in the monitoring functions of human rights by UN institutions, one of which is the HRC. In the promotion of human rights, all these play a critical role. The factor that precipitated US withdrawal is the alleged targeting of Israel by the HRC. Discussions and reform proposals are already in the works, with engagement by states and human rights organisations indicating a consensus building approach. However, while committing to reform, the impatience of the current U.S. administration and its disdain for multilateralism has resulted in the impetuous decision to withdraw. By ceding a role at the HRC, a state reduces its ability to influence the agenda, and if it is so inclined, a genuine engagement in the monitoring of human rights. Withdrawal is not a feasible option. Not just states but also individuals who are in need of a more robust defence of their rights stand to lose much. It is worth instead contemplating the need to reduce rhetoric and, rather, increase substantive engagement with issues concerning the rights of individuals. The UNHRC was established in 2006, as part of the UN’s reform process, replacing the Commission on Human Rights. Council members are elected by the General Assembly with three-year terms, with a maximum of two consecutive terms. Is WhatsApp the sole offender? 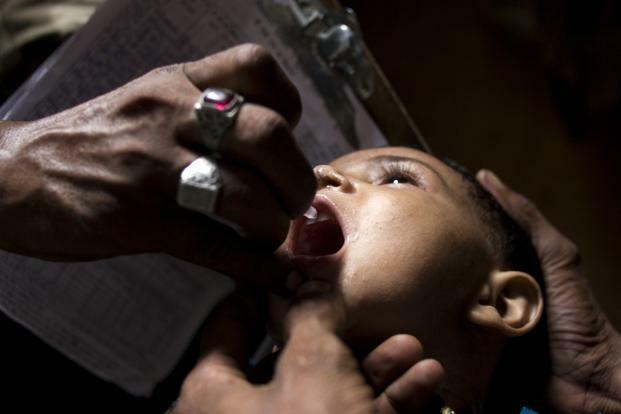 To prevent the re-emergence of poliovirus in India, the ministry of health and family welfare is now targeting mobile and migratory population from neighbouring countries such as Nepal, Pakistan and Bangladesh. The government has already started the process of identifying children living with mobile and migratory families to prevent the spread of the virus. Health Ministry officials have prepared a database of children living near brick kilns, streets, tent houses and nomad families. According to the World Health Organization (WHO), at least 11 cases have been registered in 2018 in Afghanistan and Pakistan. Since there is a possible movement of people from the countries to India, the Centre is continuing with the Pulse Polio campaign as a preventive measure despite being polio-free. Currently, two types of vaccines–oral polio vaccine and injectable polio vaccine–are being used in India to provide enhanced protection. Food Safety and Standards Authority of India (FSSAI) has unveiled ‘The Eat Right Movement’, built on two broad pillars of ‘Eat Healthy’ and ‘Eat Safe’. Kicked off in the city by National Award-winning actor Rajkummar Rao, the event saw the food industry, public health professionals, civil society and consumer organisations, and influencers. To cut down salt/sugar and oil consumption by 30% in three years. It is an autonomous body established under the Ministry of Health & Family Welfare, Government of India.